All deer hunters have seen them and many still use them: Ramshackle hunting blinds made of untreated plywood or particle board, roofs worn out from the elements that don’t even keep a hunter dry. The interior is often unpainted wood, allowing deer and other game to immediately spot any movement the hunter makes. Help with keeping the game from smelling the hunter? Might as well be burning a body-odor candle in a drafty lantern. This sad yet common scenario is easy to avoid with a long-lasting hunting blind from Advantage Hunting. Made of heavy-duty polyethylene, Advantage Hunting Blinds not only stand up to harsh weather, but they are also inedible to bugs such as termites and carpenter ants and bees. The various models available from Advantage Hunting allow for two to four hunters and deliver a comfortable hunting vantage point season after season. Not only are blinds from Advantage Hunting lightweight, but they also are virtually maintenance free. The solid construction features a through-bolt design with interlocking corners for durability. The blinds also feature a deluxe, gasketed full-size door with a keyed locking door handle or an optional trap door. The floor is nearly sound-proof with carpet, and it is very strong, made of treated ¾-inch plywood for long-lasting stability. Depending on the model, exteriors are olive drab or black that blends with almost any surrounding and interiors are black to conceal the hunter’s movements. 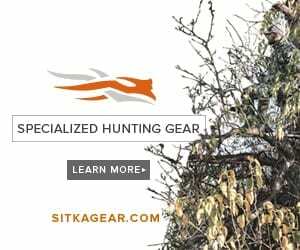 No doubt many deer and turkeys have been bagged from the confines of a junky ramshackle blind, but hunters can increase their comfort and odds of success with a durable blind from Advantage Hunting, made to deliver a fine hunting experience season after season.